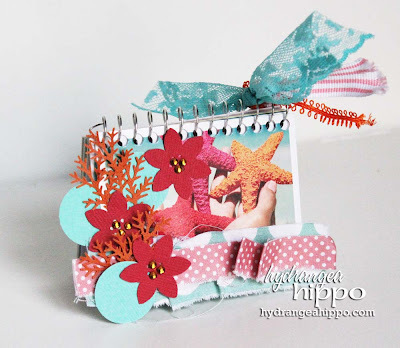 Stampin' Queen Creations: Guest Blogger- Jennifer Priest!!! Well it's Friday, and here at Stampin' Queen Creations that means it's Guest Blogger Day! Today it is my total privilege to have Jennifer Priest from Hydrangea Hippo as my Guest Blogger!!! I met Jennifer about a year and a half ago at the CHA show in Anaheim. I have to say that she is one of the most talented people on this planet! And this woman never stops! The funny thing is, we only live about 10 minutes away from each other and because we're both so busy and she's like the energizer bunny (she never slows down!) we have never gotten together at home. We only see each other at the shows! To Jennifer- Thank you so much for allowing me to showcase your fabulous talent on my blog. You truly are an amazing artist and I tip my crown off to you. I'm proud to call you my friend!!! Oh I love this design, awesome! The colors are cheerful :) I agree, Jennifer is super talented and I adore her work! Thank you so much Lisa!!!!!!!!! !